In this article I'll explain some of the important aspects of how casinos apply policies or decisions relating to wagering or player accounts. You'll see that casinos can approach them in different ways - either customer-friendly and fairly, or with a disputable approach which is often unfair. When I'm working on an online casino review, the major part of my work consists of reviewing complaints and reviews of other real players. While writing early reviews, I soon realized that what would help is some framework which can be used to judge whether a casino acted fairly in the particular situation or not. Early on I noticed that most of the complaints or bad reviews you'll hear of are based on the same few recurring situations. The largest group of complaints is related to restrictions which casinos use to prevent bonus hunters to take a long-term advantage over the casino. Literally all casinos operate a one account per person policy. I think that main reason is to prevent players from using their welcome bonuses over and over. The other reason may be the requirements of the relevant licensing authority. This rule is quite well known and normally clearly communicated in the Terms & Conditions of any casino. In cases where a player has more than one account created during a short period of time, his intention to break this rule is quite obvious. Any casino clearly has the full right to cancel his winnings, bonuses and return him only any deposits made. Some casinos may confiscate all the remaining funds of a player. Of course a player might (and can) open a duplicate account unintentionally. There are many casinos with similar names and it's quite easy to forget whether you already have an account or not. But it's on the player to persuade the casino that he created any duplicate account by mistake. True player-friendly casinos will consider each case individually and can often decide in a player's favor when he has unintentionally breached their terms of service. On the other hand a casino can easily fake the original account and there is no way to prove they are lying. Even the player himself can't be absolutely sure whether someone may have previously opened an account in his name. This policy gives dishonest casinos great opportunity to refuse paying huge wins. I suspect some casinos may have done that in the past. When it comes to duplicate account issues I try to consider each case individually. I usually decrease the rating if the casino doesn't communicate, hasn't provided any duplicate account evidence, or if it has history of similar complaints. Also, voiding wins where real money is involved is a very sensitive topic. Do you think the casino would be consistent and void losses if they find that player had a duplicate account? Most of the best and trusted casinos don't experience these types of issues and don't end up confiscating money for duplicate account violations. Why? Prevention and customer friendly behavior. So what should a player-friendly casino have in place to prevent duplicate account complaints? If there are any doubts about account duplicity, then it's better to prevent the player from playing before the problem is resolved. Any casino has a database of its players and checking for duplicities is not rocket science. In case of disputes I would suggest a casino to remember why they have the duplicate account policy. If a casino has a policy to void bets and return all deposits then it should do so consistently. That means returning deposits also to players who have lost. Confiscating only funds originating from bonuses can also be a fair option. One significant area of complaints is that which is related to bonus terms and conditions. These are where a casino accuses a player of breaching its bonus terms and conditions and voids all his winnings from bonuses. 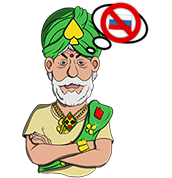 In the worst cases the casino even closes the player's account and confiscates all his funds. The most problematic here is the maximum bet rule. While playing with a bonus a player is not allowed to bet in one hand or spin more than let's say $10. Casinos use this rule to as protection from bonus hunting. This rule often isn't properly communicated to players and some newbies don't have a clue that such a rule exists. The maximum bet rule also usually isn't enforced by casino software so it's really very easy to break it. So how do I assess these cases? Casino has the right to void his bonus winnings and restart his bonus or return him the deposit. If player has breached the rule clearly and systematically then the casino is in the right. However if player hadn't breached the rule systematically, then any user-friendly casino could choose to overlook the breach. I don't think that any casino has the right to confiscate a player's real money in any case. 2. If the player claims that the rule in question hasn't existed at the time - or was hidden - then it's quite difficult for me to decide. I check the evidence provided by the player and the casino. I also check whether the casino has a history of similar cases and then I decide by my gut feeling. 3. Player claims that he hasn't breached the rule and casino claims that he has. It this case it is player's word against the word of the casino. I again decide by the provided evidence, previous complaints about the casino and by my intuition. What do I think that a player-friendly casino should do in these cases? 1. At first they should keep in mind why the specific rule has been introduced. For example, the purpose of the maximum bet rule is to prevent high-volatility bonus hunting strategy. Did the player play using a high volatility strategy? If he didn't then there is no reason to void his winnings. He is not a bonus abuser despite the fact that he breached the rule which was introduced to repel them. 2. Prevention, prevention, prevention – players will not breach a rule that is enforced by the system. I know that this is not always possible (due to restrictions of communication protocols between casinos and game providers). But when it is possible then it's great idea to enforce the rule. 3. Communicate all the important rules clearly with the bonus and don't hide them in general terms & conditions (which many players don't read). Bonus rules should be so simple that even someone who is visiting any online casino for the first time should be easily able to understand them. But the reality is far from this in many cases. I understand this area very well, and sometimes even I'm not sure how the heck I'm supposed to roll over that bonus without breaching the rules. "In the event that XYZ reasonably suspects that a player is abusing or attempting to abuse any type of bonus, XYZ reserves the right to discontinue the player's XYZ membership and withhold all monies in such player's account." I call this a general irregular play clause and many casinos put it into their terms & conditions. They don't clearly define what they consider bonus abusing or irregular play and they reserve the right to seize all your funds (not just void the bonus) if they accuse you of "irregular play"! It's a perfect excuse for showing the middle finger to those few big winners from bonuses, isn't it? I must say that I disagree with all casinos which have something like that in their terms of service. Fair bonus conditions should be clear and the player should have confidence whether he plays according to the rules. On the other hand it seems that many casinos which have this rule in their terms of service have never used it. Their bonus conditions are quite hunting-proof anyway. This clause does not necessarily have to mean the casino is a rogue one. But to keep you informed I mark each casino bonus with its general irregular play clause with "Carefully read the Bonus Terms & Conditions" label. "I won but the casino refuses to pay me, because they claim that I had self-excluded myself from that casino in the past." The problem is that self-exclusion should be about preventing a player from playing and not about preventing him from withdrawing the winnings if he wins. So does the casino have a right to void a player's wins if they later find that he was self-excluded? I personally think the right answer here is NO. If the casino would keep the losses then it should also pay out the winnings. In my opinion the casino has the right to void the win of a self-excluded player only if it consistently and pro-actively returns also the losses. By pro-actively I mean also to players who don't ask for it. In the real world this topic is quite complicated. Some licensing authorities have the rule that a casino has to return deposits to a player who has self-excluded himself in the past. And the self-exclusion should apply to all casinos with the same license. So if casinos which operate under the same license don't correctly exchange information about self-excluded players, this rule can be theoretically abused: the Player will self-exclude himself and then play. If he wins he keeps the money. If he loses then he asks for money back due to self-exclusion. At least this is the excuse given by some casinos on why they void wins of previously self-excluded players. Why I think that casinos should pay out winnings anyway? Firstly: any casino should have sufficient technological capability to accurately exchange any self-exclusion information. When there are doubts about a certain player, it can restrict his account until the doubts are dismissed. And what if the casino fails to detect the self-excluded player and he then loses and asks for a refund? …well the casino did at least have a chance to avoid this situation. But what if a casino decides to abuse this self-exclusion policy? As a player you're quite defenseless in this situation. You can prove that you have self-excluded yourself from a casino but you can't prove that you haven't. So in an extreme situation the rogue casinos can easily refuse to pay out big winners by telling that they have self-excluded themselves in the past. Anyway the best possible solution would be some form of centralized self-exclusion registry operated by the licensing authority. Then I think that the problems described above would disappear. Casinos usually verify the player's identity only after a money withdrawal request. You can register as John Smith, deposit, play, and win, but you very likely won't pass the verification process. I think that it's fair because you are asked to register with your own name. KYC (know your customer) policies are not important only to prevent bonus abusing. Most of the licensing authorities require these policies to prevent money laundering too. Sometimes it's quite difficult to distinguish between these two. But if a casino insists on a driver's license scan from a man who is over 70 and doesn't have a driver's license (see bet365 casino review) then it's more likely to fall under situation number 2. Different countries have different identity cards, people can use them to move to different addresses and some of them may get married and change their name. I think that any good casino should have a flexible verification processes. Use a bit of common sense when necessary and find a way to verify also players who don't fit the standard verification process. Like the old man without a driver's license. If I find a complaint which indicates a normal player is having problems getting his money, I point it out and include it in the overall casino rating. Casinos are obliged to protect minors from gambling. How do they do that? Every player has to enter his date of birth during the registration process. If the player is not within the legal age allowed, then the casino won't let him register. But wait…what if an under-age player enters a different date of birth? Well…then even if he/she wins he/she won't pass the verification process. Would you play if you knew that you can only lose? That is actually a very good form of protection. And what if a minor registers and plays with name and date of birth of his/her parent? And what if this minor uses their parent's credit card? This may really happen but I don't think that this is the reason to return the deposits. A Casino doesn't have a way of distinguishing whether the money was really spent by the child or whether just the parent is blaming his child for losses in order to trick the casino. I bet that if the child would luckily win a few thousand dollars some parents would happily accept that win. Therefore when I find complaints around this type of scenario, I usually read and ignore them. What do you consider fair and unfair when it comes to an online casino? Do you have any of your own bad experiences to share?